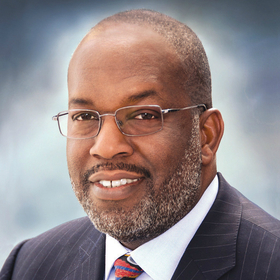 Bernard J. Tyson is chairman and CEO of Kaiser Permanente. We've reached an important inflection point for healthcare in America. How we think about health—and define the outcomes we expect—must change. Making significant progress will require a broader, more collaborative approach to improve the health of our nation. The ongoing transformation of America's healthcare system to one that provides affordable care and coverage, while delivering high-quality outcomes with greater access is essential. Yet achieving all of this won't be enough to improve health. We need to expand our sights beyond the traditional boundaries of the medical care lane to consider everything that might affect the collective health of Americans. Only by working in new ways—and engaging more people to create a health movement—will we deliver on our promise of extending healthy life years. The question I am asking every healthcare leader, group and organization with a stake in our collective health is this: Who better to help address the factors so critical to our health than the experts who understand the population, the problems, the diseases and the steps necessary to make progress? The employees and physicians from organizations that are providing care to America's communities are our first line of defense, but they alone can't change the health trajectory. While Kaiser Permanente has long been focused on the health of our communities, we are raising our own expectations and hoping others will join us in tackling economic, social and environmental conditions affecting health. Achieving this will mitigate health issues even before they reach our nation's care teams. Our hope is to address the high cost of treating chronic illness and improve health outcomes. By focusing on health equity, we are acknowledging that every community has its unique needs for improving health. It is difficult to be healthy without good jobs, access to healthy fruits and vegetables, safe homes and schools, and more. While we don't have all the answers, we are focusing on the social determinants of health. Two years ago, I hired our first ever chief community health officer, Dr. Bechara Choucair, who is working to better understand the ecosystem of the communities we serve and how we can help the 68 million residents in those communities maintain and improve their health. In May, Kaiser Permanente announced a $200 million impact investment to address affordable housing and homelessness. Housing stability is a key factor in a person's overall health and well-being, and addressing those issues more broadly can have a positive impact on health outcomes. This commitment is creating a broader national conversation on homelessness and the need for housing stability—a problem we're acutely aware of in the Bay Area. In addition to the investment, Kaiser Permanente has joined with other business leaders and the mayors of 14 cities to call for more federal funding for affordable housing and services for the homeless. We are also expanding our work and influence in other areas to improve the health of our communities. Earlier this year Kaiser Permanente pledged initial funding of $2 million to initiate research focused on preventing gun-related injuries and deaths through a newly created task force. And in September we will take part in the Global Climate Action Summit in San Francisco to add our support to addressing environmental factors leading to climate change, which we believe can have harmful health effects. Central to increasing our chances of success is our commitment and outreach to work with other groups that are willing to put a stake in better health—that means government, the business community, faith-based groups and other community organizations. Delivering healthy life years—where people can live, love, laugh, learn, work and play—is the ultimate payoff. Together we can make significant progress to increase healthy life years today and deliver better health for future generations. Interested in submitting a Guest Expert op-ed? Send drafts to Assistant Managing Editor David May at [email protected].